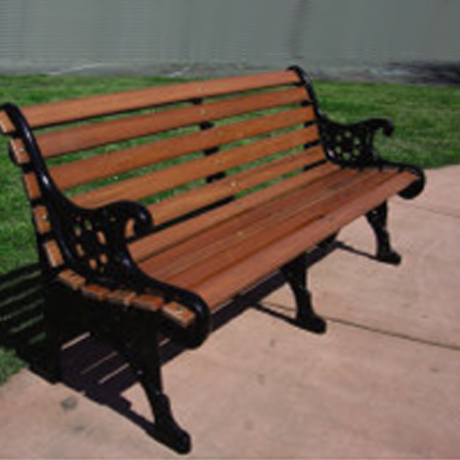 Customize your outdoor or indoor space by adding an commercial park bench (or three!) from the wide selection offered. 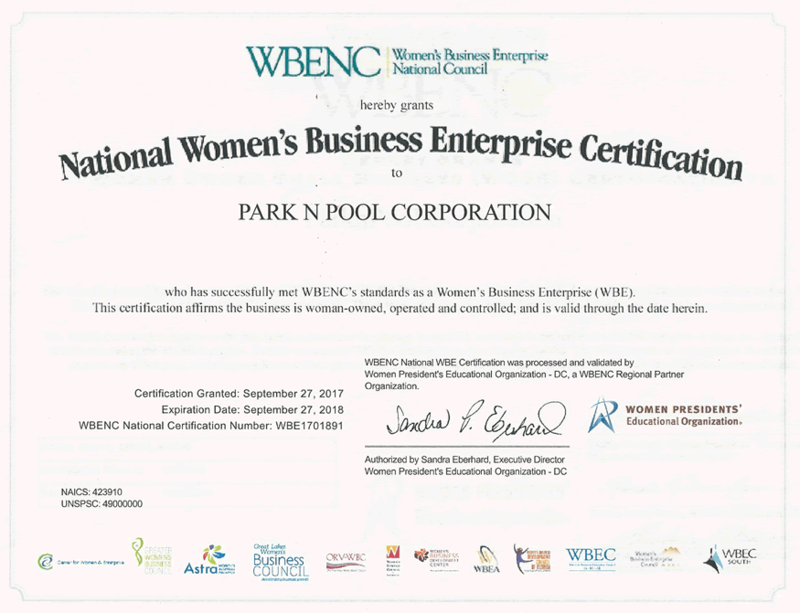 Available in an assortment of materials, colors and styles, you can spruce up your public park, sports complex, city garden or public plaza with beautiful and long lasting outdoor furniture. With a comfortable and picturesque place to sit and relax, your guests, visitors, and residents will keep coming back! The colorful plastic coated benches with powder coated frames are perfect to liven up school yards and provide landscape architects and designers a palette of vivid colors to revamp park projects. 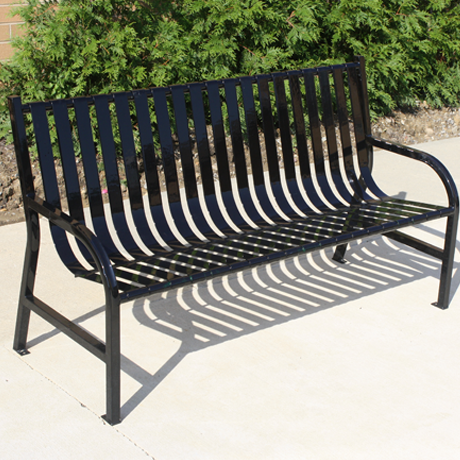 With 100% coating (on the frames, seats and backs) Plastisol coated benches will withstand heavy use and harsh weather. 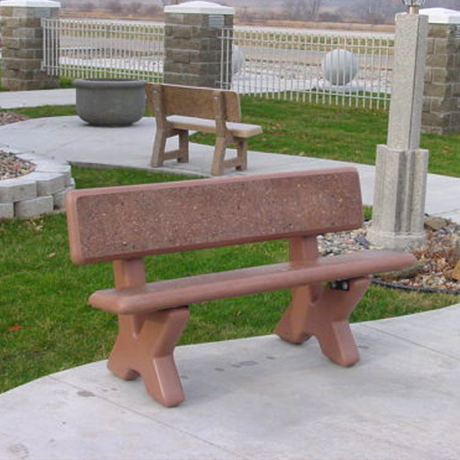 PreCast Concrete benches for parks are a heavy duty, comfortable addition for city streets, bus stops and rest areas. These cement benches are especially made for low maintenance public spaces. There are many different colors and aggregate surface textures available in these concrete park benches. Remember the vintage benches that furnished old railroad stations? These ornate benches are even better than the originals. Wood slatted benches will charm your visitors with their vintage comfort, while the cast aluminum frames withstand nature and deliver timeless handsome décor. Wherever there is salt, chlorine or sun, Recycled Plastic makes a wonderful choice for a long maintenance-free life, especially when you choose the optional stainless steel hardware to fight aggressive rust. 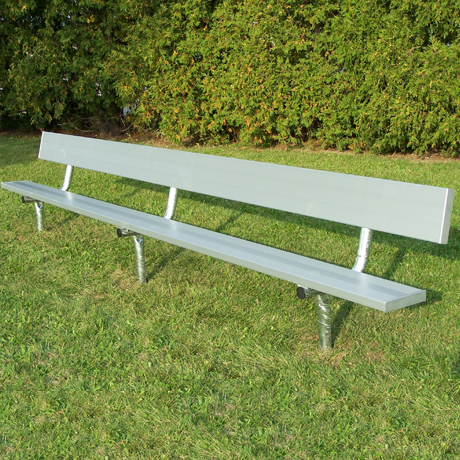 The field and sports benches are available in a variety of materials, sizes and colors to perfectly complete any athletic field, facility or locker room. 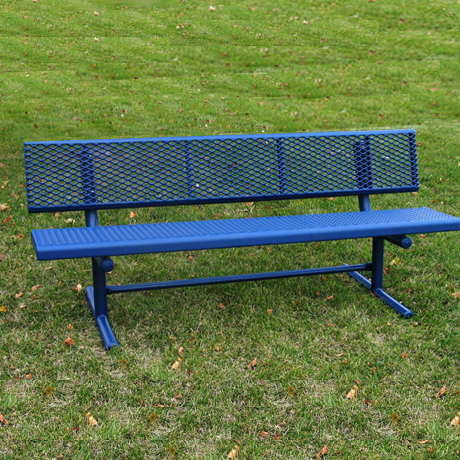 Most Player Benches have a seat that is 3" wider than a normal park bench. Commercial grade outdoor furniture that looks like wood without all of the maintenance work. More and more people are becoming ecologically concerned with recycling plastics and rainforest conservation. 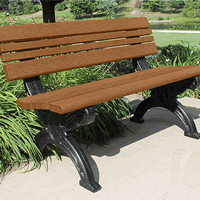 Recycled plastic garden benches are a perfect choice to decorate your porch, patio, or deck. As a sister wood to Teak, Shorea is very dense tropical wood that machines nicely to make beautiful outdoor furniture. Either rub with a protective oil to retain its original color or allow the garden furniture to weather to a gray patina. This commercial grade patio furniture is built to withstand people and weather. This is not the same furniture that you see at Lowes or Walmart. Heavy duty and quality tested for public use, this commercial resin furniture is a perfect choice for outdoor cafes, and casual seating on patio and deck. Are you having a problem with people sleeping on the benches in your park? 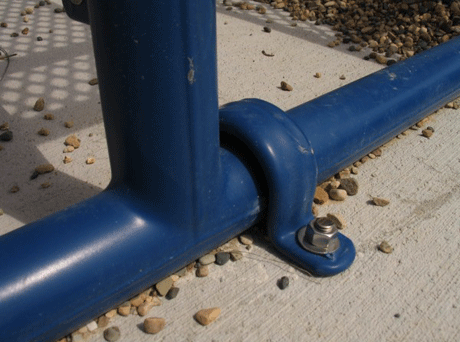 Prevent people from sleeping on your benches. One common method to prevent sleeping is to install Sleep Inhibitors across the outdoor bench. Pair your perfect park bench with a picnic table in a park or a trash receptacle at the bus stop to complete your ideal look! Call and let our friendly sales staff help you choose the park seating that is right for you!